Firstly, thanks so much for your informative blog. I am on the market for a new drinking water filter system to replace my Hyflux Gurgle, and have been trying to do my homework before buying anything. So far, the Berkey system seems to be a frontrunner since it is available in Singapore, and seems to do the job well (btw, one of my main requirements is fluoride removal. I agree with you about alkaline water and I am not keen on that). I note from your blog that you did feel that Singapore water does not need to be filtered. 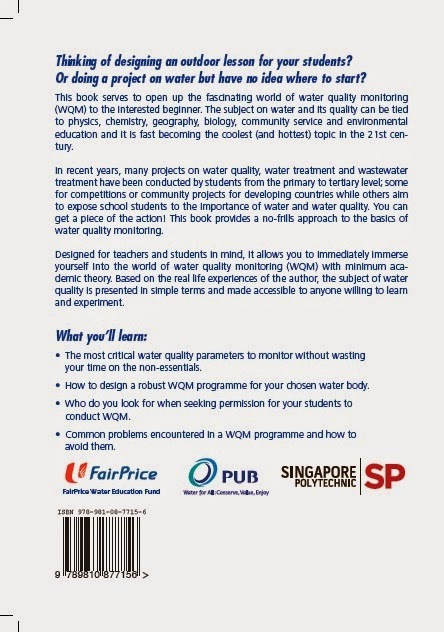 I saw Singapore's Drinking Water Quality report and while I believe by international standards it is indeed excellent, as a layperson I was surprised by all that is in it! What might you say would be the top 3 or 5 substances in Singapore that consumers should try to filter out, if possible? Filters out there claim to filter out radiation, pharmaceuticals, etc, but I am not sure what might be the biggest contaminants here be. "Relevant" and appropriate filtering is a concern to me as I enjoy drinking a lot of water daily. I read that activated alumina (which I believe Berkey uses) is not aluminium, and is therefore safe. Is this really the case though? Some filters use calcium-based carbon (bone char) instead. Are alumina-free filters such as that to be preferred, then, for the sake of health and safety? If I remember correctly, you use British Berkefeld aka Doulton? I read that you said these are the same as Berkey. Could you pls enlighten me if their efficacy is the same? I went to the Arkwater website but their products and terminology are not exactly the same as the Berkey, so I had difficulty assessing which is better. 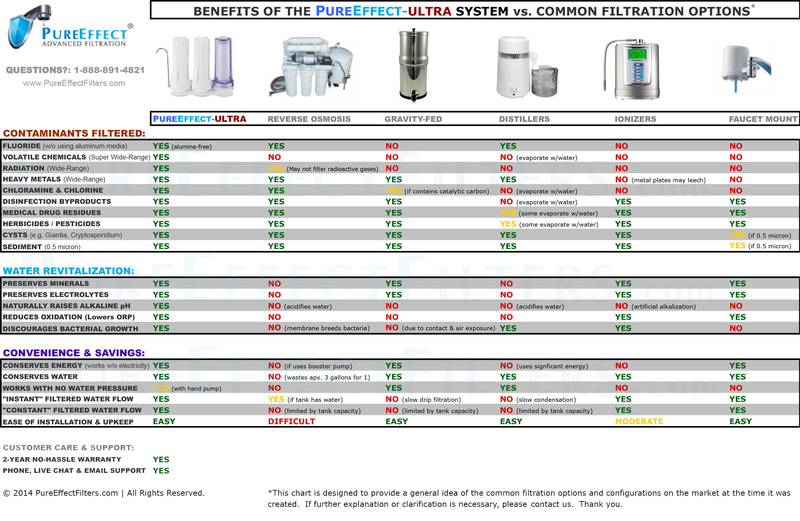 The website of the Pure Effects water filter system pointed out some convincing disadvantages of gravity-fed filters like the Berkey, and I find it hard to assess if these are deal-breakers e.g. chloramine removal, bacterial growth - could you pls advise? (Pls refer to the comparisons made in this chart and this table.) Personally, I find the Pure Effects filter a bit more complicated, but am willing to consider it if it is better than Berkey. Thank you so much for reading my e-mail and I do apologise for e-mailing you directly. I would be most grateful if you are able to share your thoughts with me as well as your blog readers. Sorry for the late reply as I was occupied with end-of-semester issues and the recent Chinese New Year. 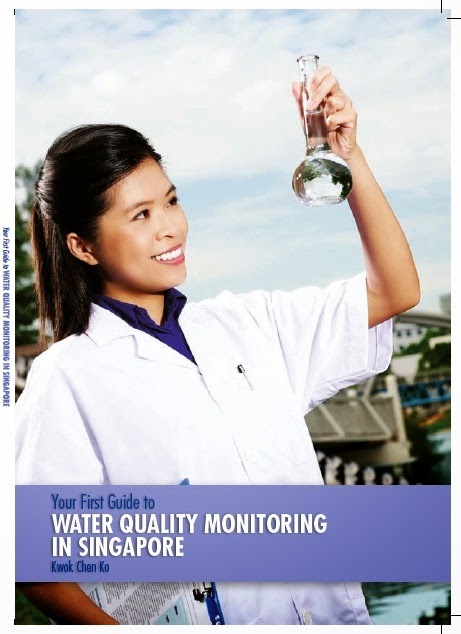 As you have already mentioned, the tap water quality in Singapore is already excellent by WHO standards (see PUB's drinking water quality report). Frankly, I don't see how the top 3-5 contaminants to be filtered out can be chosen in a rational manner. Unless you expect something else has entered your water in between the water treatment plant and your tap. See previous post for more about this scenario. We are now treading into the territory of long term (decades perhaps) health effects and controversial research findings. You can also add in the popularity of certain contaminants for research and media reporting and viola, the weightage of any particular contaminant of concern can be skewed in either direction. Furthermore, potential filter/purifier owners please note... As mentioned several times before in my posts, the already low concentrations of contaminants in our tap water make them rather difficult to remove any further. Removal may only be marginal or worse, a poorly maintained water filter can actually add contaminants (e.g. bacteria) into your drinking water. Fluoridation. I am not sure why we are still doing it here. Our tap water is intentionally fluoridated (addition of fluoride) to fight against tooth decay. However, studies have shown that fluoride can be bad for health (arthritis, mutagenicity etc.) and unlike decades ago, we are already getting enough fluoride from our food and toothpaste. Of course, its level in our tap water is very low and certainly within WHO standards. I just don't see the logic of adding it in the first place. Activated alumina is basically aluminium oxide made very porous. This allows an incredibly large surface area to remove fluoride, arsenic, selenium as water passes through the pores. Compared to the element, aluminium, alumina is much more stable chemically so aluminium is not likely to come out of alumina. Yup, that is the wonder of chemistry - an addition (sometimes in very small amounts) of something else can change the original material radically and make it more practical. A common example is iron and steel. Iron by itself is weak and impractical but add in some carbon and now you have steel which is ubiquitous in our daily lives. In answer to your question, alumina is pretty safe to use. Generally... UNLESS you pour acid on to it. Then alumina does break down and goes into your water. You don't happen to run acid through your water filters, do you? Before you run out to check the pH of your tap water, relax... it is slightly alkaline. Boiling does reduce the volume of your water somewhat but most automatic kettles will switch off quite fast once boiling is reached so the reduction is small, say 5% or less. Don't forget, your contaminant in tap water is already at a very low level. Assuming it does not boil off as well, its concentration will simply increase by about 5%. No such a big deal and no way it is going to break any limits in the drinking water standards. I dug a bit more into the Doulton/British Berkefeld (BB)/Berkey story. Apparently, a guy called Doulton started producing ceramic filters in England in early 1800s. These filters came to be known as Doulton filters. These were subsequently modified to incorporate silver particles (for their anti-microbial properties) and registered under the trade name of "British Berkefeld". In 1998, a company called New Millenium Concepts distributed the Doulton/BB line of filters in America under the name of Berkey. 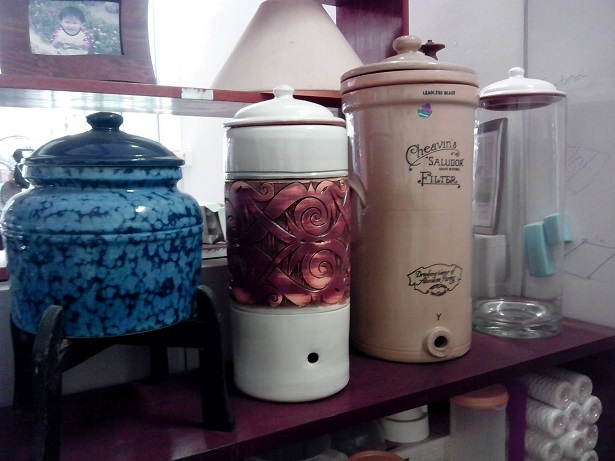 At that point in time, Doulton/BB and Berkey carried the same products. However, NMC started "improving" on the original filters and came up with "Black Berkey" filter elements which are claimed to filter off more contaminants and more efficiently on certain existing contaminants. Therefore, if you are getting a Berkey filter, do check whether they are using the new filter elements or the original Doulton/BB filter elements. Let me reiterate I maintain my stand that water filters/purifiers are not necessary for Singapore tap water in general. The reasons why I suggested the Doulton/BB filter in my previous posts were for emergency preparedness in the Singapore scene and residence in less developed countries e.g. community service where clean water is not a guarantee. Keeping these reasons in mind, I would expect electricity to be absent or unreliable so a gravity fed filter is a really good idea. But it seems you still want a filter for Singapore tap water. I am sure you have your reasons and I will respect your decision. Since you mentioned coffee/tea of which I am also a fan :-), you are not getting a filter to make better coffee/tea, are you? Oh, for those of you frequenting coffee joints like Starbucks, it is normal for them to run tap water through several filters before brewing their coffee. This is supposed to produce consistently better tasting coffee compared to the unfiltered brew most of us "enjoy" at home. These flow-through filter systems address the main weaknesses of a gravity fed one - you have to manually pour water into a gravity filter once you have used up the limited amount stored below the filter elements (say 18 litres depending on model you get). Since it is by gravity, the filtration is going to be slooooooooooow. In contrast, a flow-through system supplies filtered water on demand - no waiting time, no hassle of topping up the filter tank and no concern about the storage capacity of the tank. Furthermore, Certain flow-through models can use the exact same filter elements (e.g. Doulton) as the gravity fed version - same filtration effectiveness but with greater efficiency since you do not have to wait for gravity.